Put down the top and cruise the Las Vegas Strip when you rent this exotic Lamborghini Huracán Spyder and you’ll be the envy of every other driver on the road. 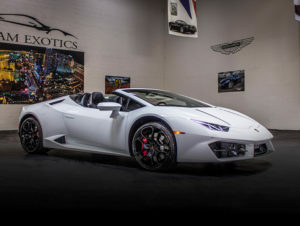 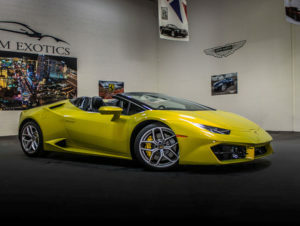 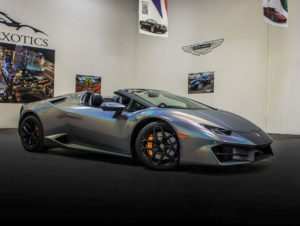 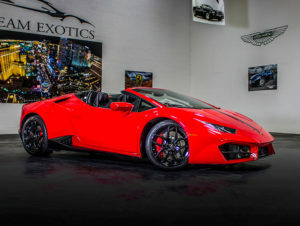 Only a certain type of individual can handle the power and performance of the Lamborghini Huracán Spyder, now available for rental from Dream Exotics in Las Vegas, Nevada. Are you up for the challenge? 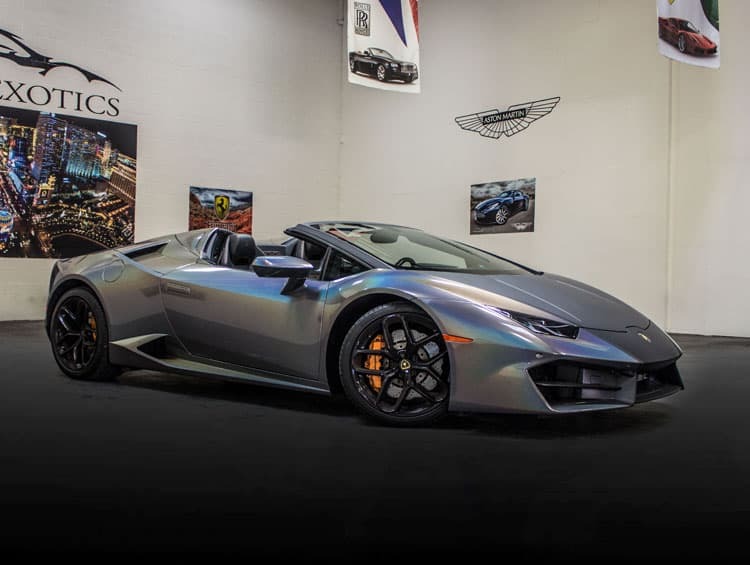 If you think you have what it takes, then give us a call and get ready to be transported to another dimension where technology and power meet. This 2-seater powerhouse offers a ride you won’t soon forget. 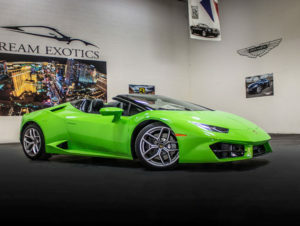 One of the fastest cars on the road, it’s sporty yet elegant interior provides optimal luxury and comfort while also giving you the space you need to be comfortable on short trips to the Las Vegas strip or longer rides beyond the glamour and glitz. The outer design of this distinctive Lamborghini reflects Italian taste and hand craftsmanship that turns heads when you’re on the road.This high-revving Lambo not only takes you where you need to go in the Las Vegas area, it also delivers you renewed and recharged from the most exhilarating ride you’ve ever experienced. 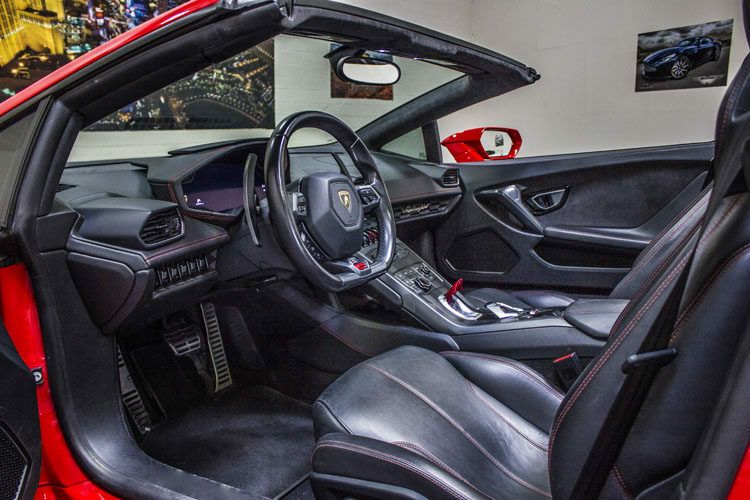 STRADA: Sets you up for a comfortable ride with maximum grip. 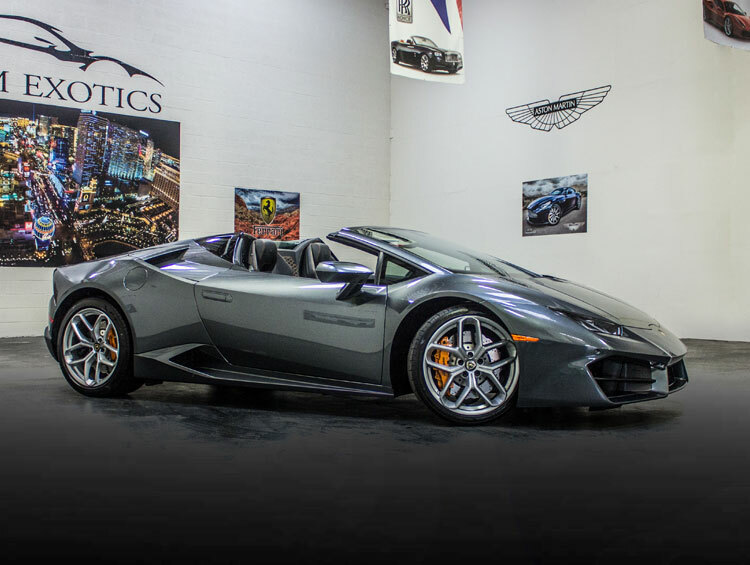 SPORT: Gets you ready for a ride with twists and turns. 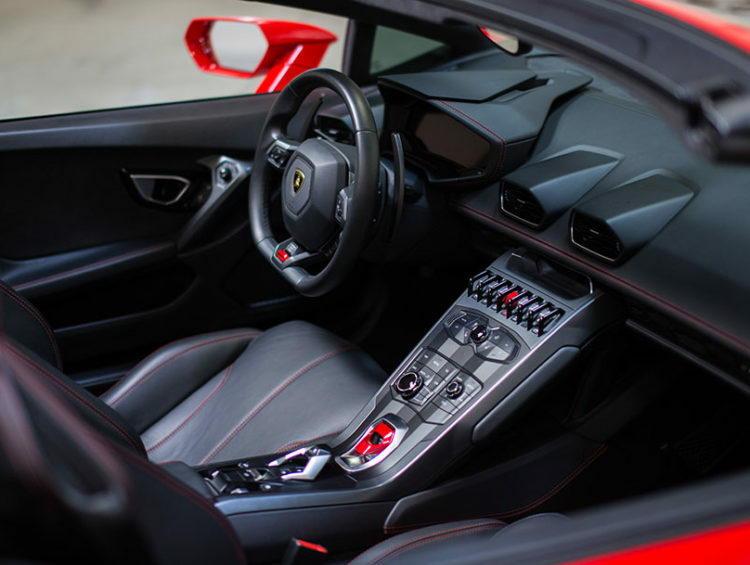 CORSA: Prepares you to experience Huracán’s top performance. 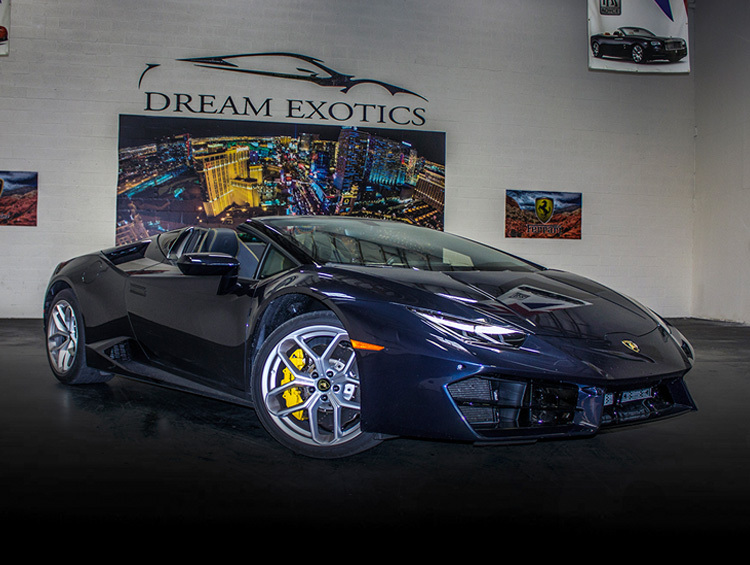 At Dream Exotics, we only offer cars that go above and beyond your expectations. The moment you step inside the Lamborghini Huracán Spyder, you’ll know this is where you were always meant to be. 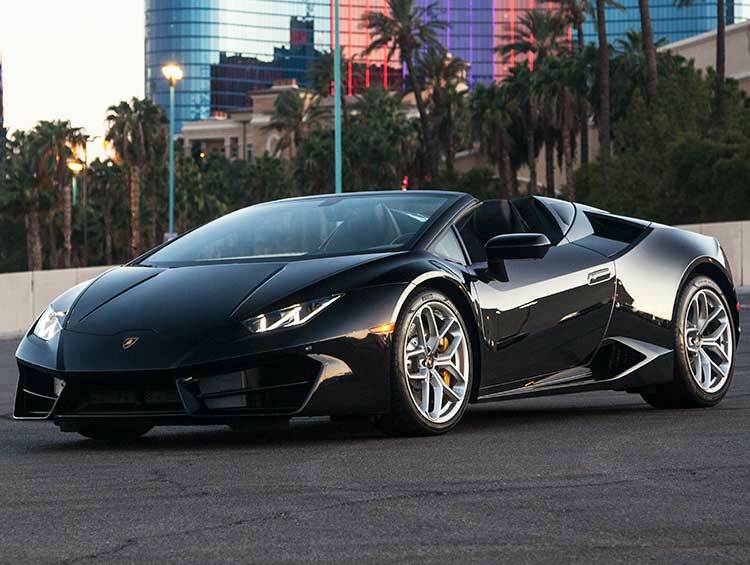 The Lamborghini has been waiting for you to take charge. 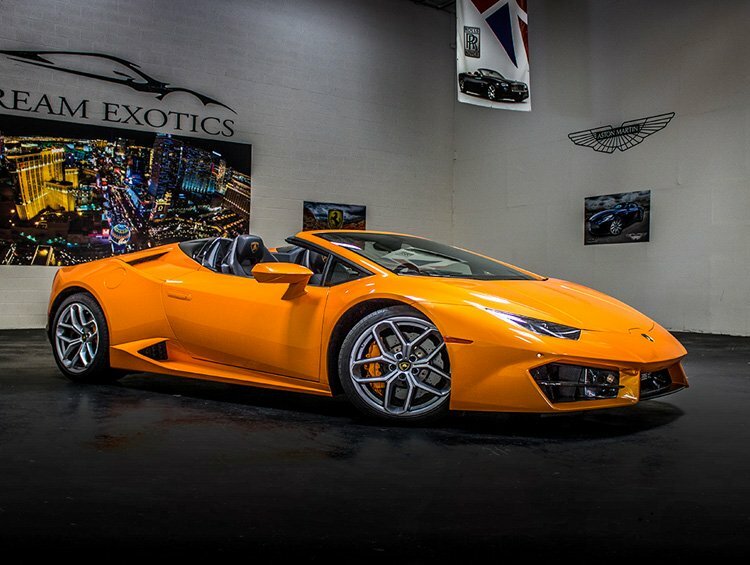 Like a custom-made European suit, this Lambo feels better than you ever imagined. 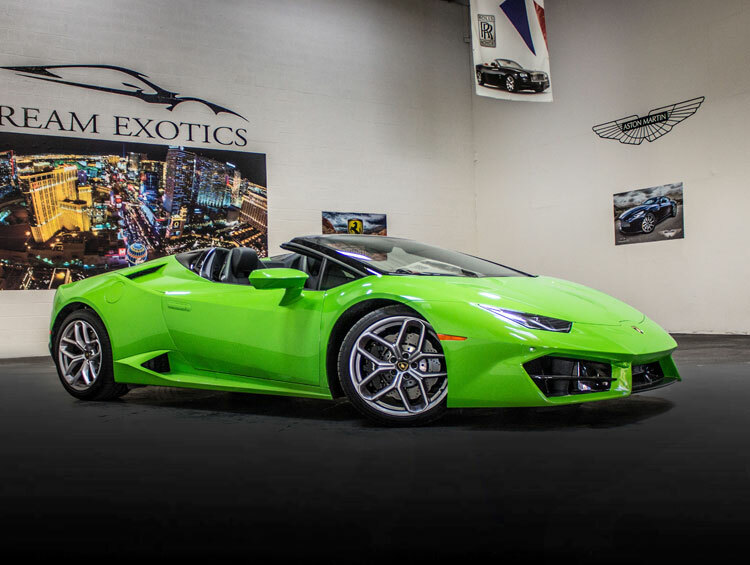 Call Dream Exotics today and reserve your favorite color of the Lamborghini Huracán Spyder before someone else slips behind the wheel and drives your baby away.